Christmas has come and gone but around here we aren’t ready to give up the celebrating just quite yet. There’s one more shindig before we pack it in for another year. Over the years we have celebrated New Year’s Eve with loud and riotous parties, hosted quiet family get togethers and more recently spent the evening cozied up in front of the t.v. with favourite movies and junk food (it’s always chocolate). This year we’re having a few friends over to ring in 2017 with us. 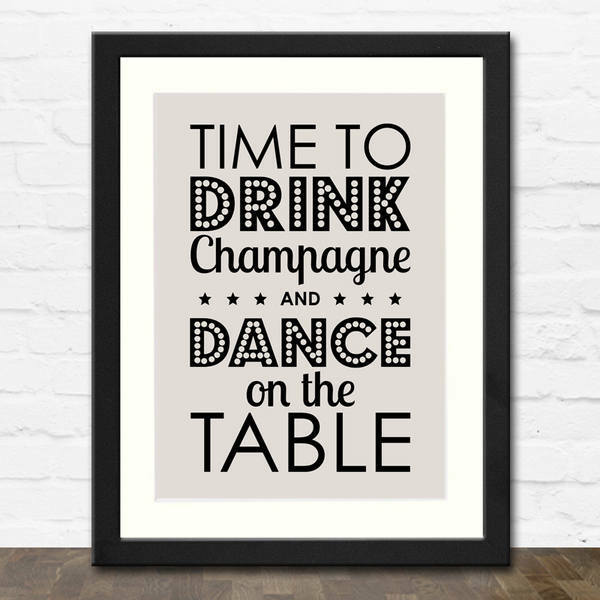 While dancing on the table is optional there will definitely be champagne, fun non-alcoholic drinks for the kiddos and easy late night snacks to keep the party going long after midnight. It’s all about simple and relaxed entertaining – I think the host should enjoy the party as much as the guests. Here are just a few ideas that I’ve gathered together that may show up on our table. 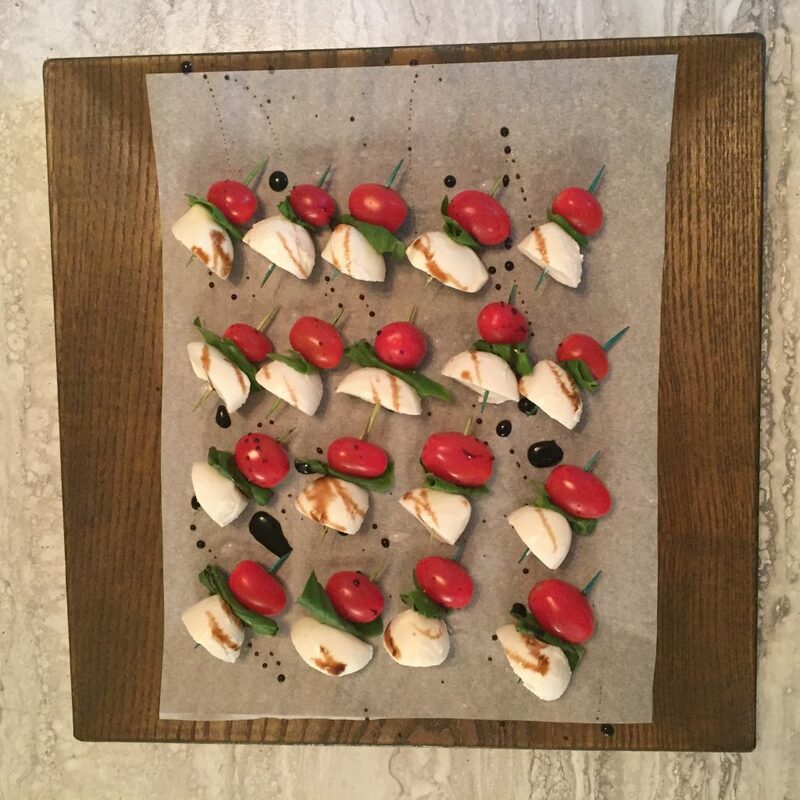 Caprese skewers are my go-to app. They’re easy to make ahead and pop in the fridge or take the tomatoes, bocconcini and basil with you to a party and assemble them in no time flat. Drizzle with balsamic just before serving and you’re done! 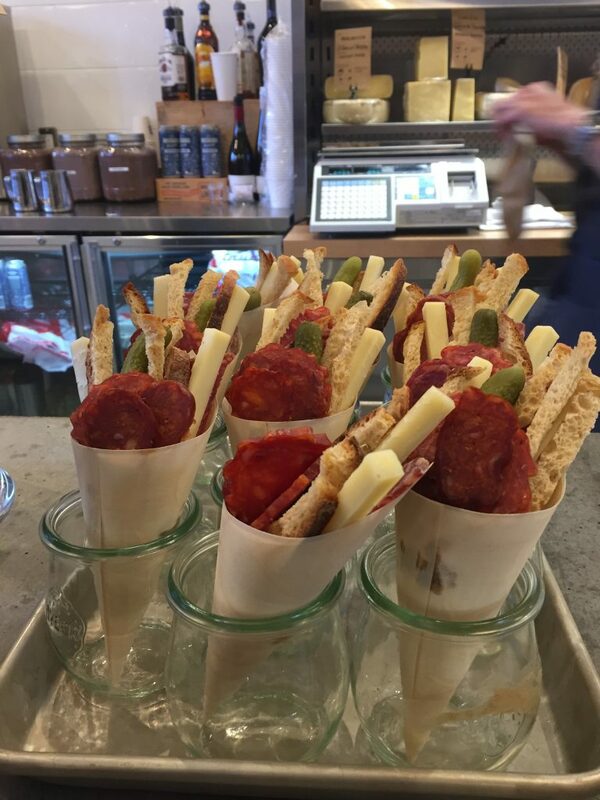 I recently spied these antipasto cups at a Toronto deli – genius! 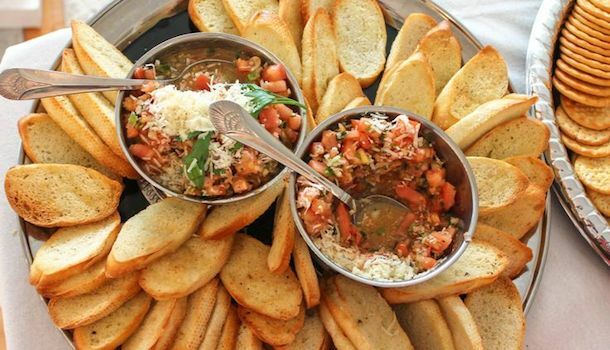 Perfect for party-goers who like to eat and mingle (me!). 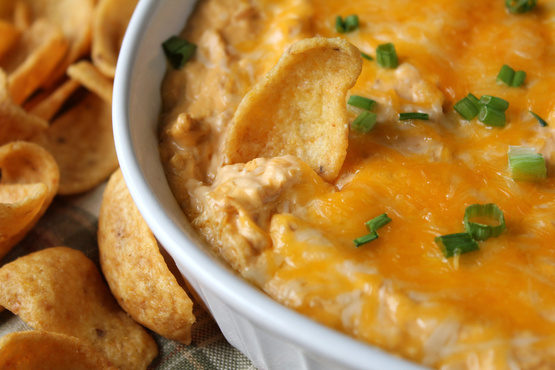 And of course there will be Buffalo Chicken Dip. What’s better than hot, spicy, gooey cheese and chicken you scoop with a chip? Seriously if you haven’t tried it, now is the time! 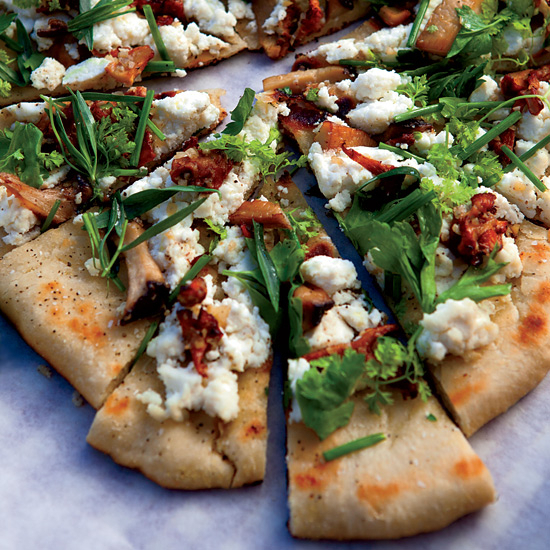 Flatbread is another easy-to-make-ahead snack. Top it with whatever your crowd likes and pop it in the oven or on the grill. This gorgeous one below comes from Food & Wine. I’ve made a version of this and it was amazing. Cut the flatbreads into skinny wedges for party-sized servings. New Year’s Eve drinks don’t have to be complicated to be memorable or delicious. Don’t forgot to include some non-alcoholic options for friends who are driving and those who don’t drink. The LCBO has lots of tasty alcohol-free recipes here. For the kids we always serve Shirley Temples – with little umbrellas of course! 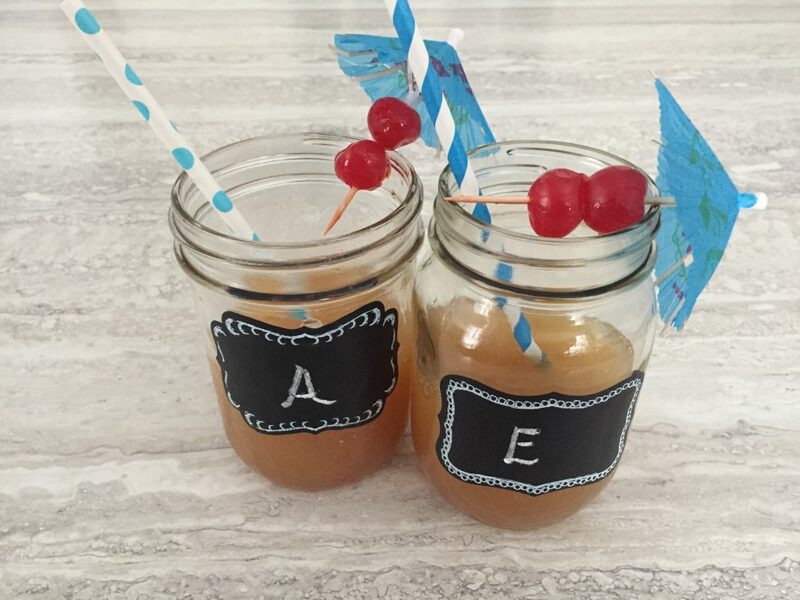 We have a stock of canning jars that we use as drinking glasses for the kids. I keep these chalk labels on hand (these are from Dollarama) so little ones can tell which drink is theirs. 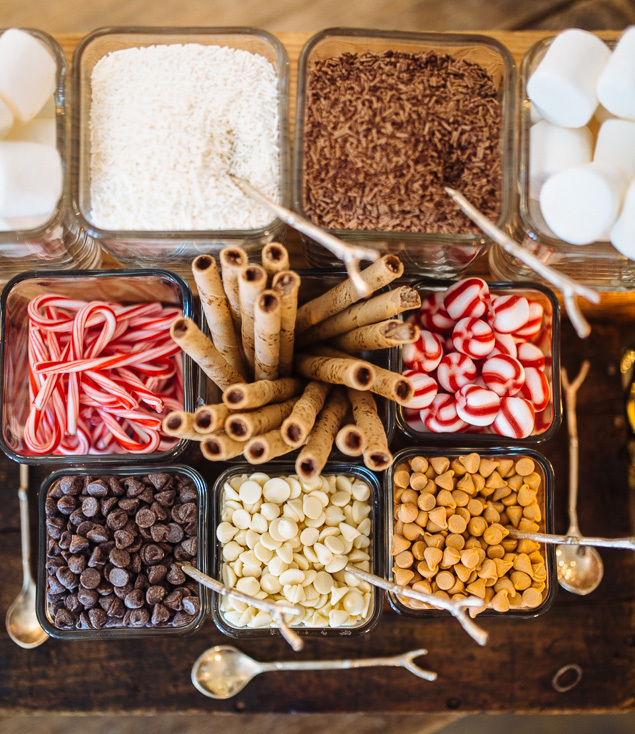 Keep cocktails simple by offering a few themed drinks along with ingredients for guests to mix their own concoctions. 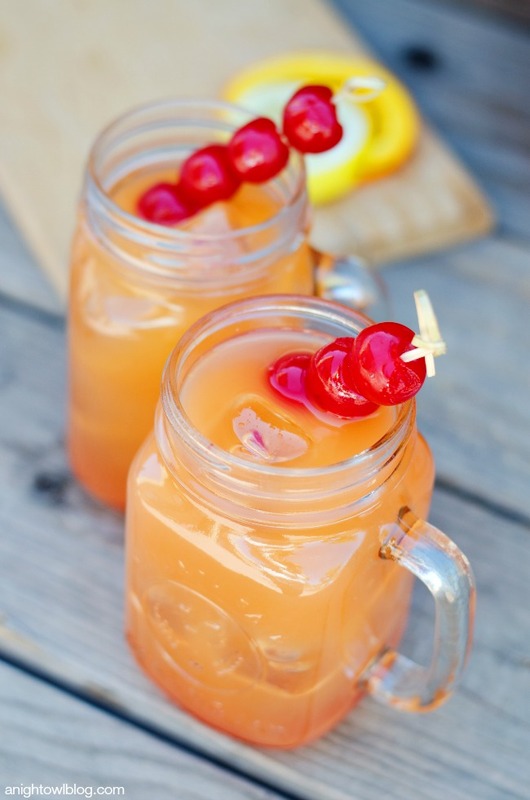 Since we already have everything to make Shirley Temples, this Coconut Rum Punch is an easy adult-only upgrade. 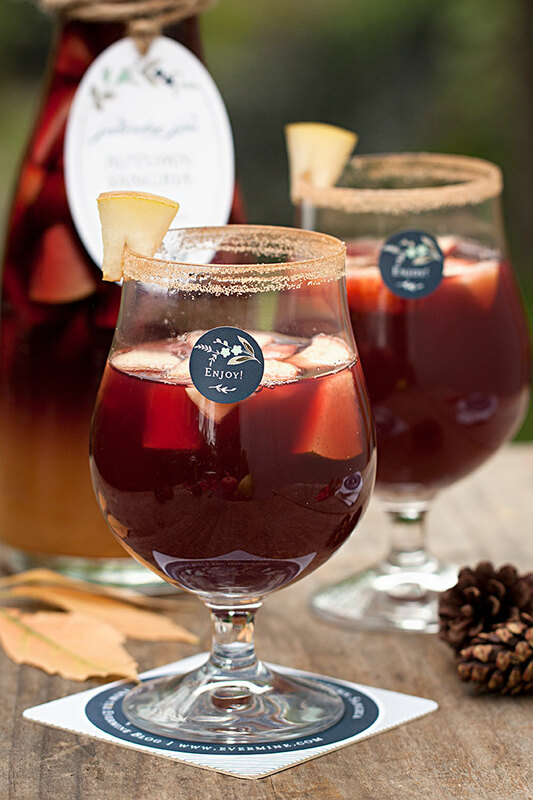 Sangria is a poolside staple at our house during the summer but this version uses wintery ingredients to make it perfect for a cold weather party. Plus you probably have everything needed to make this already in your kitchen. Top off the snacks & drinks with these easy and delicious desserts. 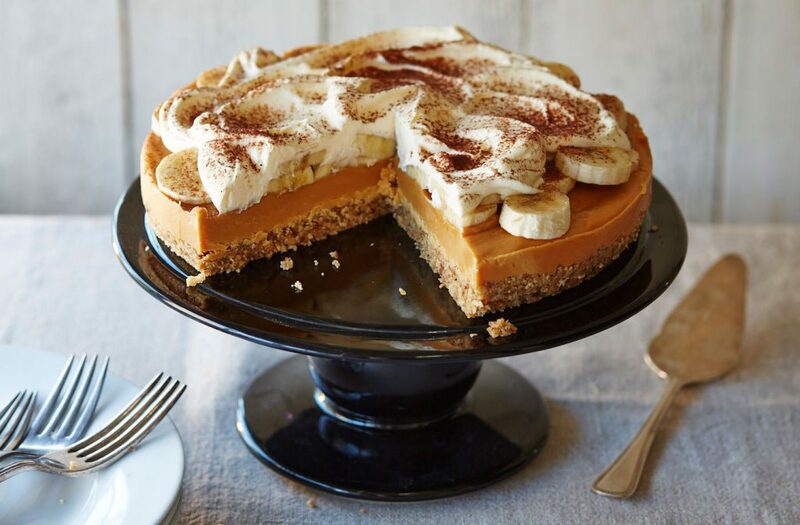 I love making this Banoffee Pie. It looks and tastes like it took so much effort – except it doesn’t. Please feel free to cheat and buy a ready-made crumb crust. I won’t tell anyone. 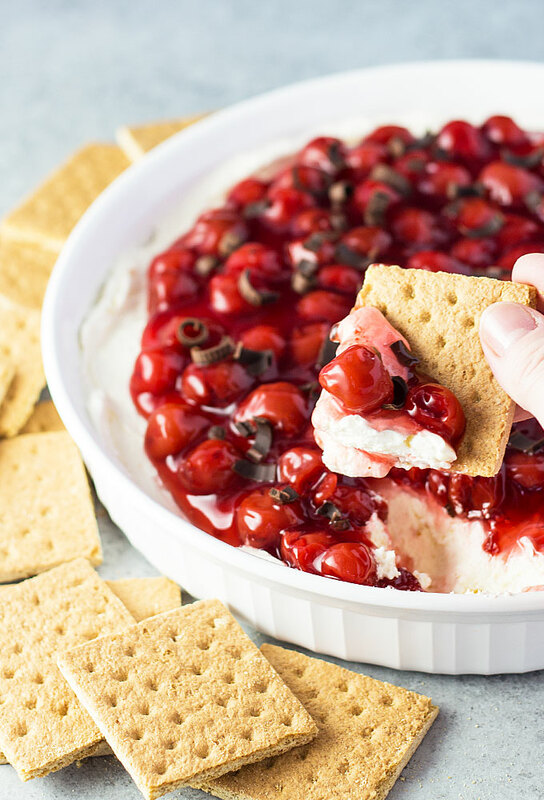 This Cherry Cheesecake Dip can be whipped up in minutes and be made a day or two before your party. I’ve omitted the marshmallow fluff at times and it still tasted great. This is always a hit with both adults and kids. If you’re not crazy for cherries try blueberries or strawberries. Cheers to easy entertaining on New Year’s!